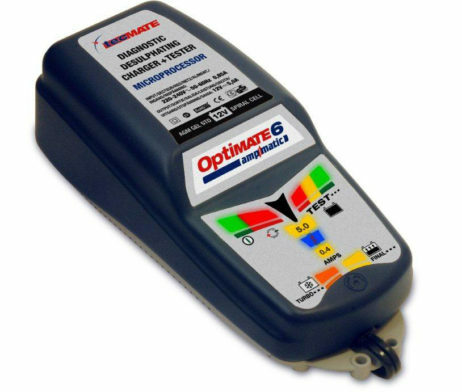 OptiMate 6 Ampmatic, with 5Amps of charge current, is an advanced battery saving charger, tester and maintainer for marine and automotive batteries. In a sealed and robust weatherproof enclosure with built-in wall mounts, improved energy efficiency and cables good down to -40 degrees, the OptiMate 6 is suited to all users especially in water and snow markets. 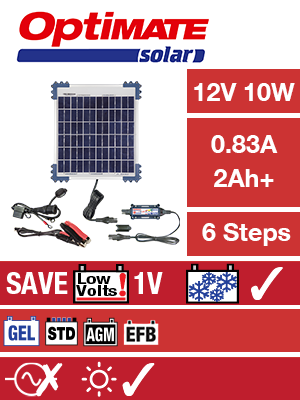 Advanced 3 step program to SAVE a neglected / sulphated lead-acid battery unable to accept charge. 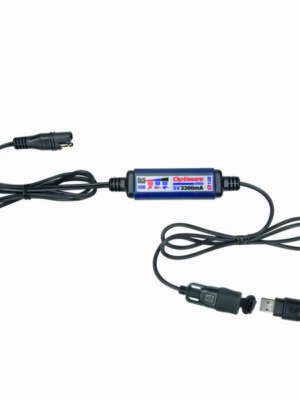 SKU: TM-180 Category: Battery Chargers Brands: Optimate. 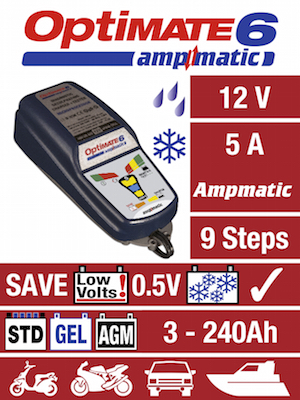 OptiMate 6 Ampmatic, with 5Amps of charge current, is an advanced battery saving charger, tester and maintainerfor marine and automotive batteries. In a sealed and robust weatherproof enclosure with built-in wall mounts, improved energy efficiency and cables good down to -40 degrees, the OptiMate 6 is suited to all users especially in water and snow markets. Saves the battery you thought was dead! 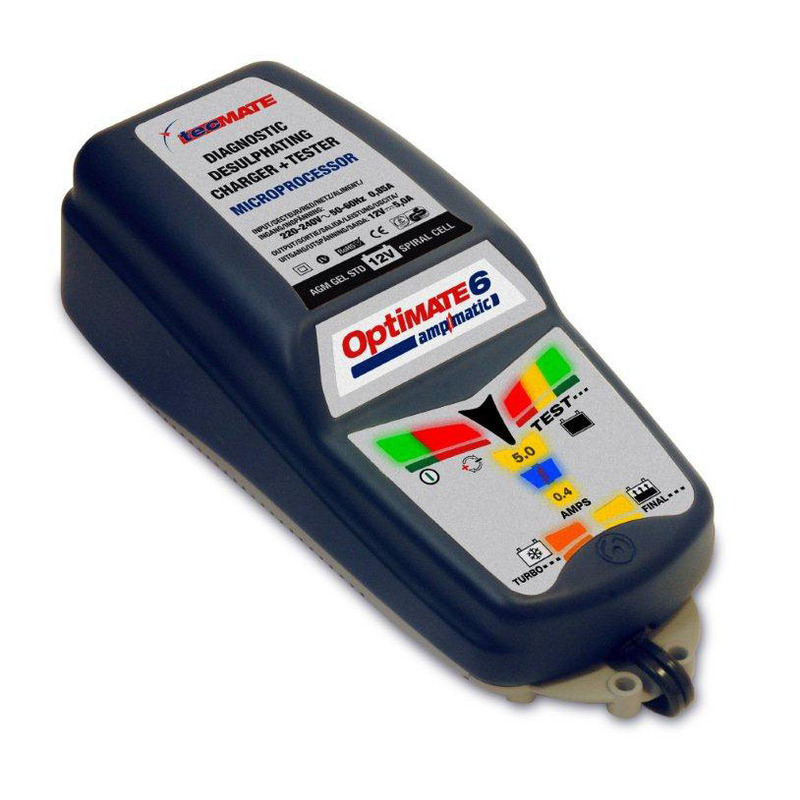 OptiMate 6’s proven multi stage desulfation program saves neglected batteries other chargers can’t. Gets the rated power out of your performance battery! 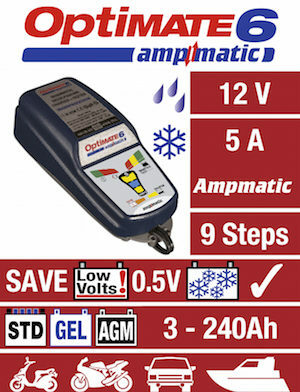 The unique “Ampmatic” microprocessor automatically select the best program and adjust the charge current each time you hook up a battery, guaranteeing the fastest and most complete charge. The cell voltage balancing mode optimizes the battery performance and will also correctly prepare a new battery for first use. Extends battery life by up to 400%! OptiMate 6 will maintain your battery safe and ready-to-go for months on end, with the extremely effective “charge and rest” maintenance program. Warns you of battery problems! 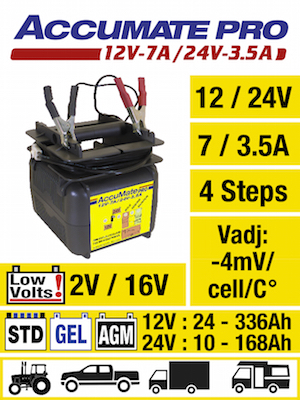 Daily battery condition tests monitors the battery and the current drain by the vehicle circuitry; a problem is indicated on an easy to understand light display. 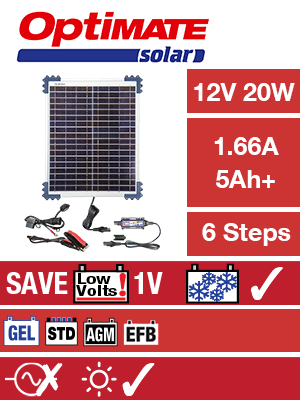 Recommended for STD (with removable filler caps), sealed AGM (absorbed glass mat), sealed GEL and spiral cell 12V lead-acid batteries up to 240Ah. SAE-71 permanent ringlet connector with weatherproof cap & SAE-74 set of battery clips. Fully automatic operation that includes all safety features such as reverse polarity protection, no spark connection : approved to UL & CSA safety standards for automatic battery chargers. Weatherproof Permanent connector – Fits directly to battery posts for E-Z storage charging. With 15A automotive fuse.